Governor Gavin Newsom’s first Budget proposal has a good deal of hopeful news for higher education. Now, the devil will be in the details and in committing to ongoing funding, rather that the cyclical ups and downs that have undermined the University of California, California State University and our community colleges over the past several decades. 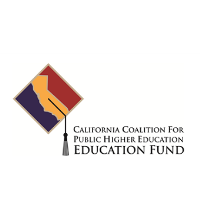 It is heartning that Governor Newsom has once again made higher education a State priority. The initial 2019-20 Budget proposal unveiled by the Governor includes more than a billion dollars in additional funding for the three sectors combined. This marks the most substantial higher education funding boost in more than a decade. The University of California will receive an additional $240 million in operating funds—a 6.9% increase—plus a one-time outlay of $153 million, primarily for maintenance. CSU will receive an additional $318 million in operating funds—an 8% increase—plus a one-time allocation of $264 million. Community colleges will be getting an additional $401 million and the Governor is proposing that the State cover two-full years of free community college. This is all good news, but it is only a start. Public higher education is still recovering from years of underfunding by the State with much of the cost burden being shifted to students and their families.